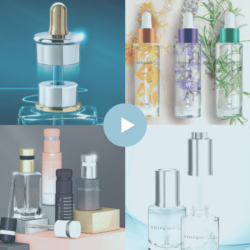 Glass dropper bottle is the perfect package for cosmetic brands wich produce delicate formulas, bieng the perfect applicator for liquid and fluid solutions. Virospack presents another new range of complete dropper packs with moulded glass bottles for skin care, make up and hair treatments, increasing its standards with two models of 30ml Wide and 30ml Slim. These two new formats are high quality and heavy weight, given by the thick glass bottom of the bottle. The Wide version has a ‘last drop’ finish. Both models are compatible with a broad range of droppers, classic and push button in a 20/410 neck thread. Also available with a wiper. Highly customisable with our in-house decoration techniques. 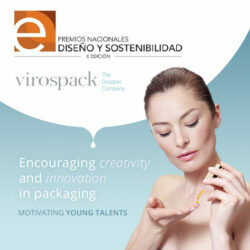 Virospack, expertise and quality, assurance of success.